Have tried a pm x 2 ...failed Will try on "the zone"
As long as we are tag sailing, I will add my big windsup to the list. 9'0 Sealion 150 liter, weighs 23lb, heavy duty construction. Mfgr by AHD. Surf sup and Windsurf sup for waves. Has centerboard insert for teaching windsurfing. (it's a tuttle box) Blank is inserted now. Shark scare bottom graphics. 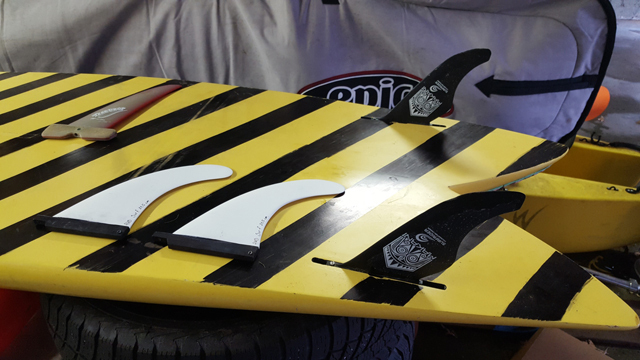 Comes with original fins, two weed fins, and the centerboard fin. Also have a complete 4.7m sq rig if interested. I am in CT, but do travel to northern Mass, cape cod and RI. Only reason I am selling this board is that I also own the 8'3 sealion and use it 100% of the time. This board surfs and sails great. It is fun sailing if there are waves, otherwise its more of a learning craft. I have an old paddle I can throw in. 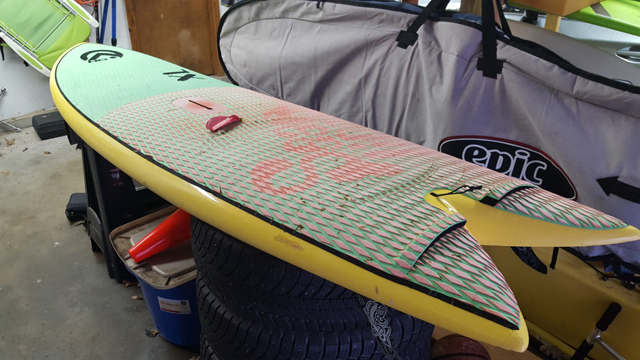 Board/paddle - 650$ rig - 200$ make me an offer.